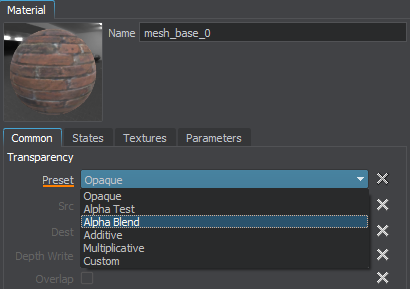 Create two objects (e.g box primitives: box1 and box2) with the same transformation and having two materials with different Albedo textures assigned. 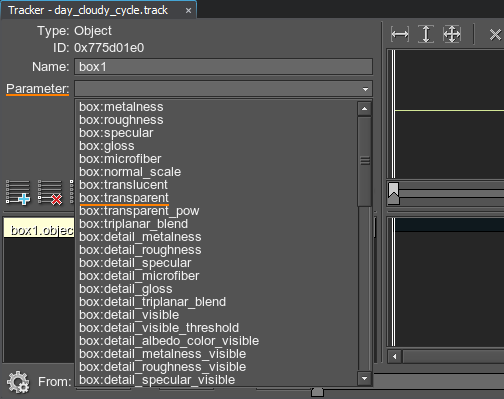 Make the box1 object transparent by setting Common -> Transparency -> Preset -> Alpha Blend for its material. Open the Tracker tool by choosing Tools -> Tracker in the Menu Bar. 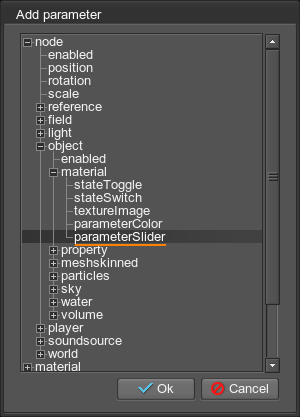 Click to add a new track and choose node -> object -> material -> parameterSlider in the Add Parameter window that opens. 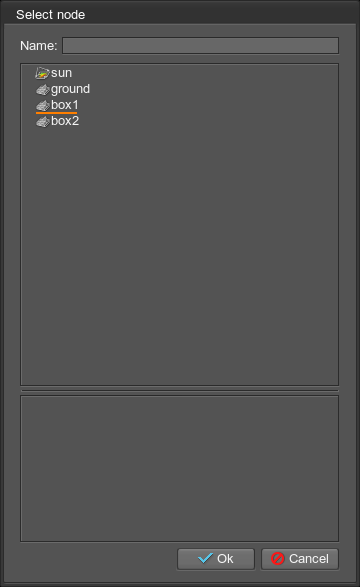 Select the transparent box1 object in the Select Node window that opens. Select the box:transparent parameter in the Parameter field of the Track Info section. For the first key frame, set Time = 0 and Value = 1. For the second key frame, set Time = 1 and Value = 0. If any Z-fighting occurs, you can also adjust Polygon Offset and Rendering Order for the box1 object’s material.